Chamasoft allows the group members to keep track of their assets. If a group has assets e.g. land buildings, they can use this link to keep track of their assets. 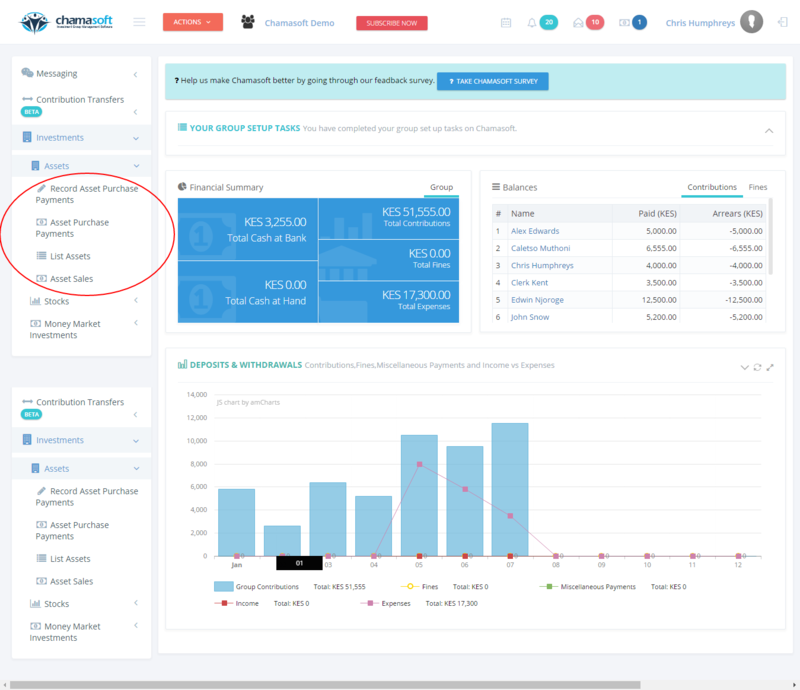 Record Asset Purchase: Gives you an interface to record your asset and its value cost. Asset Purchase Payments: In case you are making payments for any asset added above, use this link. This will help you track how much balance to make for the asset. List Assets: Gives a tabulated list of all your assets. Both fully acquired and also whose payment is ongoing. Asset sales: This link lists all the asset you have sold and also the cost you sold it at.